Have you seen carpenter ants marching through your bathroom or tiny fruit flies invading your kitchen? You could have a pest control problem. Critter Control of Gainesville can help! 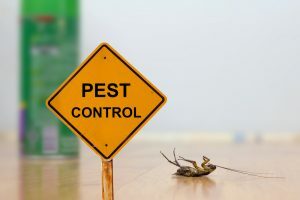 With Eco-Wise pest control, our professional and affordable pest control service can rid your home of any intruding pests without endangering your family and pets. Our trained professionals are dedicated to making sure your home is protected from everything from insects to wildlife year round. Our extensive pest control methods have been eliminating pests in homes and businesses for more than 30 years. When you call Critter Control of Gainesville, we will promptly send a pest control specialist to your home to evaluate the problem. We will check the areas where pests may be living by preforming a complete inspection of your property. Once we discover the root of the problem, we will review treatment options with you to help control both current and future pest infestations. Call us today at 352-372-3922 or contact us on the web to schedule a consultation.